I got two letters from S.K Brothers Realty (M) Sdn Bhd, inviting me for a dinner with them and other purchasers of the serviced apartment. Attached in it was 5 cash voucher valued RM1k each so that I will distribute them to my friends who wish to buy the apartment and get the rebates. In total, there are 10 cash vouchers altogether, means total value is RM10k. If 5 of these vouchers are redeemed, I am eligible to get 1k rebates for my own purchasing. Symphony Heights is a serviced apartment developed by Huayang and marketed by SK Brothers Realty. People are singing praises about the many assets of Symphony Heights, a serviced apartment project offering 946 units on a 2.97-acre site in the established and sought-after Selayang-Batu Caves neighbourhood. Little wonder that it has generated over 900 registrants waiting to place their bookings, even before its official launching in July. 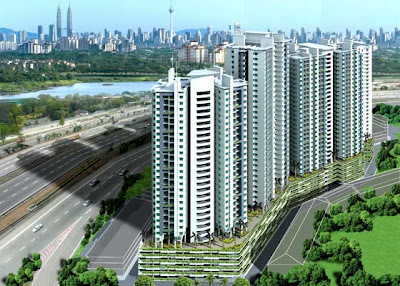 Strategically located off the Batu Caves roundabout, at the Middle Ring Road 2 (MRR2) and Jalan Ipoh Interchange, Symphony Heights is easily accessible via major roads such as the Damansara-Puchong Highway (LDP), Karak Highway, New Klang Valley Expressway (NKVE), Elevated Highway, North-South Expressway, and Kuala Lumpur-Shah Alam (KESAS) Expressway. The established neighbourhoods in the vicinity provide many important amenities, including Giant Batu Caves and Tesco Extra hypermarkets; a wholesale market; food outlets; Selayang Mall and Selayang Capitol shopping centres; Selayang Hospital; schools (adjoining to SRJK (C) Kheow Bin Batu Caves); banks and District Government offices, recreational areas such as FRIM, Templer Park and Batu Caves, and more. Built Up: From 863 sq.ft. 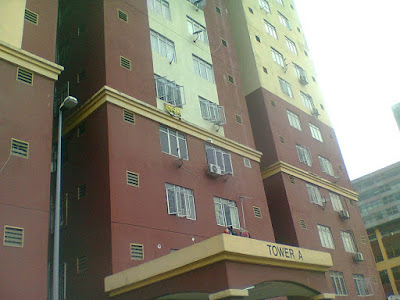 Unfortunately, I am not going to buy this apartment neither know any friend who is is interested to buy it.